Sometimes quitting sounds so good. I mean, honestly, do you ever feel like you want to quit? I know I’ve felt that way. No matter how much I believe that unborn babies—and all human beings—are worth fighting for, it can seem too hard some days. It sounds a whole lot easier to just lay down this burden we carry and let another take it up. It would feel so nice to forget about all the evil we’re trying to stop. Or would it? 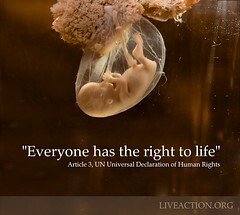 Would we really feel good if we left the voiceless innocent in the dust? We’re not just fighting for a good cause here. We’re fighting for people who literally cannot stand up for themselves. If we go away, they have no hope. They can never speak up and protect themselves. We cannot quit. We cannot end our efforts. It’s ok to admit discouragement, disappointment, and hardships. It’s ok to feel overwhelmed. But it’s not ok to give up or quit. Too many lives depend on our commitment. Still, a resigned attitude—Ok, ok, I guess I’m in this to stay because I have to be—isn’t the kind of attitude our movement needs. Trust me, I’ve questioned exactly what God is doing before. I’ve wondered why He doesn’t hurry up and end abortion. But I’ve learned that people blame God for way too many things. People have a free will; we have a choice. 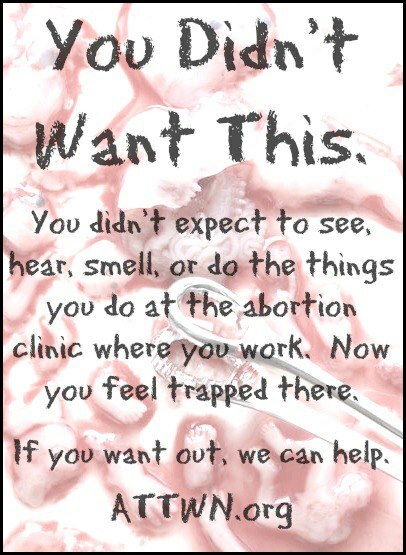 And sadly, too many people use their choices to keep abortion legal. I’ve also learned that faith in God and faith in truth prevailing isn’t about expecting a certain outcome exactly when we decide that it’s essential. True faith is recognizing that God does indeed have a plan. The victory over death was already won on the cross, centuries ago. Sometimes God doesn’t ask us to fight to achieve victory. He asks us to fight as a test of who we really care about and Who we really follow. He uses us to save lives—whether it be one or countless many—in the process. And one day, abortion will end. That is a surety. 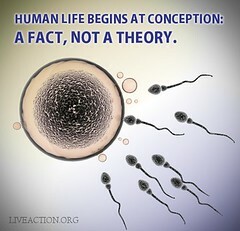 I believe we will see abortion end in our lifetime. I believe we will see death’s doors close and accept no more children. I believe we will see life valued. I believe we will see society welcome babies as the precious little ones they are. I believe there is hope. I believe in a God Who works miracles. I believe. 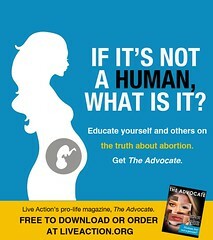 I’d challenge you not to overlook how you truly feel inside about working on the pro-life issue. If you are rearing to go and out-of-your-mind excited right now, that is AWESOME!! We need people to feel like that! 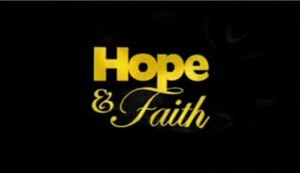 If you never get discouraged because you’ve already learned what faith and hope are, hang on to them! But, if you do occasionally question the length of this battle; if you wonder what will happen one day; if you are asking if you really have the strength to keep trying—examine your heart. Find out why you are really fighting. Remind yourself of the truth you believe. 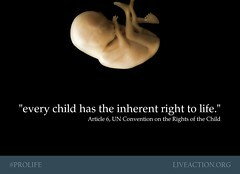 And picture all the nameless unborn children who cannot utter a single sound in their own defense. I know that you, like me, do not want to leave them behind. Doubt, discouragement, and hopelessness will attempt to plague most of us. But we have the choice to reject these monsters and send them back to the pit where they belong. We can make the choice for hope. We can choose Hope itself in Christ, Who first came to earth as an unseen unborn Child. We can choose to believe. We can choose the attitude of faith.